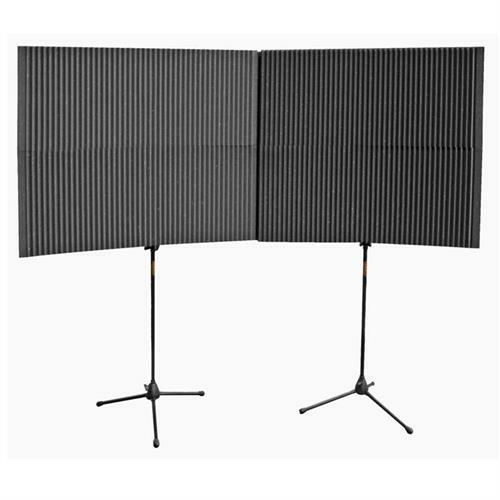 More on the Auralex Acoustics MAX-Wall Mobile Expandable ISO Booth Kit (Charcoal) MAX420CHA below. Auralex's innovative "MAX-Walls" are Mobile, Absorptive and eXpandable. This modular interlocking acoustic treatment solution is perfect for rental spaces, temporary ISO booths or traveling studios. It is a great option for situations when mounting directly to the walls is not an option, and when portability is a must. MAX-Walls offer great flexibility, minimal set-up time and simple expansion/re-configuration. Numerous combinations can be set up in a matter of minutes with no tools and no adhesives. 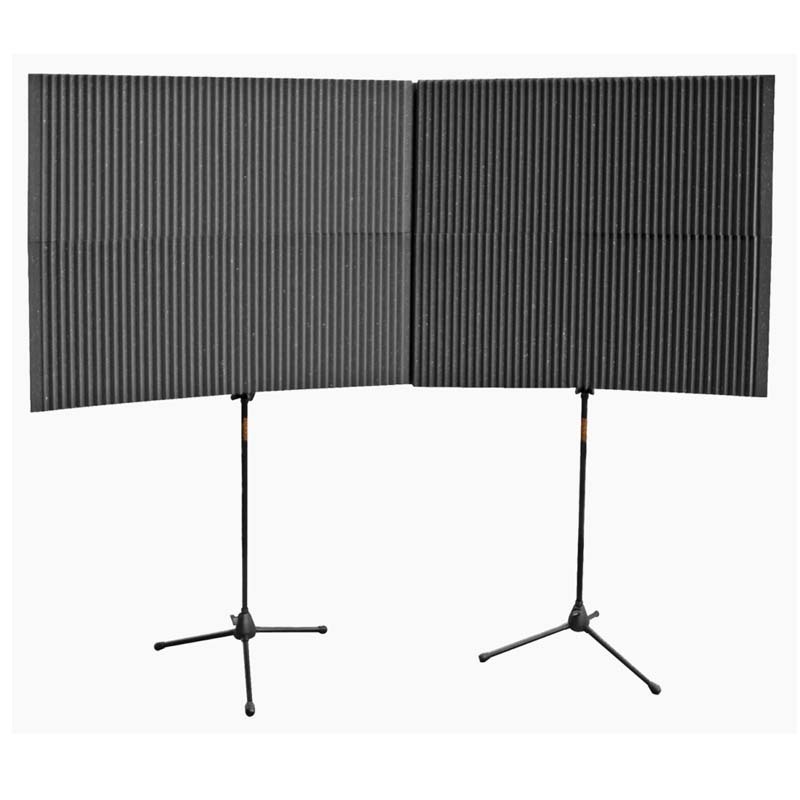 Panels are thick enough to offer a high-degree of sound containment, while also offering portability with ease. This set up will not provide complete isolation, but it will provide enough containment that it won't be necessary to monitor using headphones. 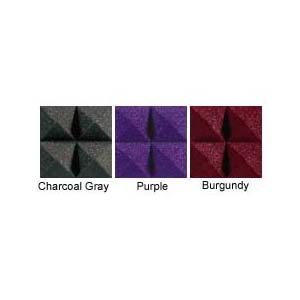 Available in three color choices: Charcoal, Burgundy, and Purple. See related products below.